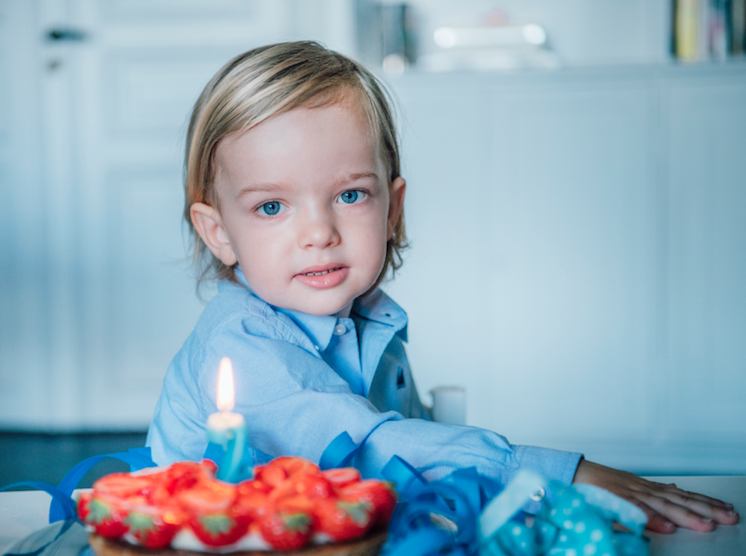 A series of new photographs have been released by the Swedish Royal Court to mark the second birthday of Prince Nicolas, which is today. The young Prince is photographed by Kate Gabor at the Bernadotte-O’Neill family’s apartment in Stockholm. 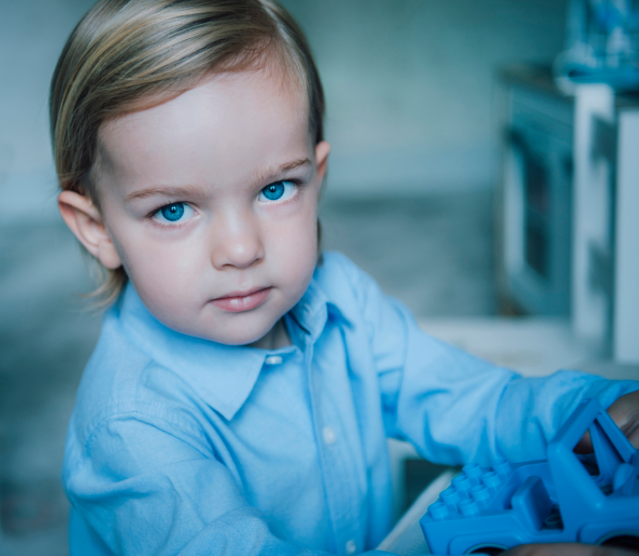 In the photos, Nicolas – dressed in a simple blue shirt which only further highlights the blueness of his eyes – is seen at a dining table with a strawberry-covered cake, and playing with trains. Nicolas is the second child and only son of Princess Madeleine and Christopher O’Neill. He is the first grandson of King Carl XVI Gustaf and Queen Silvia, and is currently eighth in line to the throne. Tagged Birthday, Portraits, Prince Nicolas of Sweden. Aan exeptionally beautiful child !